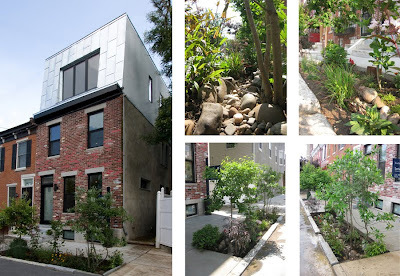 We are very proud to announce that the stormwater planter at Montrose Green has won 1st place in the 2nd annual SOSNA (south of south neighborhood association) Streetscape Competition in the 'Tree Pit Garden' category. The prize was a beautiful Nandina shrub from a wonderful organic plant and flower shop in our neighborhood called The Window Box. Thank you so much to SOSNA for this recognition. We are proud to be part of such a great neighborhood. Also, if you are in the neighborhood this weekend, be sure to check out BLOKTOBERFEST on Saturday, October 24th, noon-8pm for fun, food, beer, and music. "This day-long outdoor festival will feature representatives of select craft breweries from around the country showcasing their biggest and best fall beers, as well as delicious food from neighborhood vendors, and a great line-up of live music from local and nationally-touring acts." Bench Dog Design will be exhibiting their work as part of this exhibition! Philadelphia was known as "Workshop of the World" from around 1880 to 1920. At that time it was hard to find products for the everyday not being produced in the city and region. Just a century late it is far harder to find locally produced products. Philly Works is an installation of functional objects of all scales, quantities, and production techniques that are made in the Philadelphia region. Philly Works is a survey of design, manufacturing, and craft exhibited through a showcase of prototypes, limited editions, and mass-produced goods. Along with the objects, Philly Works will include documentation of the production spaces and the people who make the objects on display. The show will include a "corner store" where some of the many items can be purchased. This opening will be the launch date for the corresponding database and website that will be updated year round. Philly Works will illustrate the many ranges of production still alive today in hopes of inspiring new work, new connections, and to bring light to what is happening in the city. Philly Works is presented by Made in Philly. Bench Dog Design, a custom furniture design & fabrication shop that specializes in utilizing reclaimed timbers in their work, will be opening their workshop for tours. Located in the heart of Fishtown, their shop is housed within a larger warehouse that includes vintage motorcycle and car repair, a painting studio, metalworkers, and other craftsmen. This creative community provides a unique opportunity for collaboration and expression. Using lumber salvaged from Philadelphia row homes, Bench Dog Design transforms discarded beams and joists into custom designed furniture. 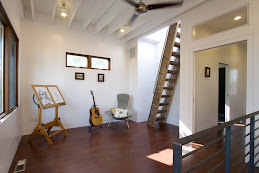 Bench Dog's commitment to reclaimed local materials ensures eco-friendly products with character. 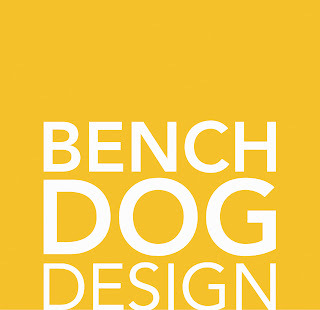 At the core of its foundation, Bench Dog values the integrity of the craft, thoughtful detailing, and quality design. To learn more, visit the blog: www.benchdog.wordpress.com.